Stocks Unleashed: CSC Steel (RM1.96): Dividend Yield above 7%; PER of 7X; Net Cash of RM303 mil !!! 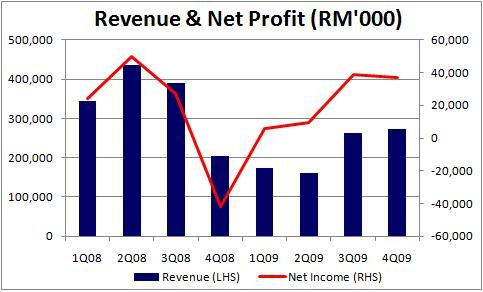 CSC Steel (RM1.96): Dividend Yield above 7%; PER of 7X; Net Cash of RM303 mil !!! CSC Steel Holdings Bhd (Formerly known as Ornasteel Holdings Bhd) is a flat steel manufacturer in Malaysia which is 48.5% owned by China Steel Pacific Holdings Pte Ltd, a Taiwanese steel giant. The other two major shareholders are Lembaga Tabung Angkatan Tentera (10.2%) and Lembaga Tabung Haji (7.7%). Having China Steel as its major shareholder, the company could leverage on the management, technology and high quality products to improve its productivity and operational efficiency. It is principally involved in flat steel manufacturing, with core products such as PNO (Pickled & Oiled Steel Coils), CRC (Cold Rolled Steel Coils), Galvanised steel coils (GI) and pre-painted galvanized steel coils. The products are used in various industries such as automotive, furniture, roofing, construction, E&E parts, home appliances etc. Its customers are well diversified and is not dependent on any single customer. On the other hand, its supplies are mainly sourced from its mother company with the remaining coming from local players. The company has very strong operating cashflow and balance sheet. 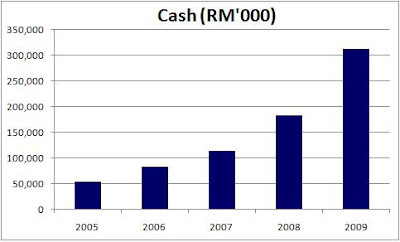 Its current net cash position stands at RM303 million, extremely rare for a steel company!! In addition, the company has no expansion plans for now. This would allow the company to continue paying good dividends to shareholders. Consequently, it has a dividend policy to pay out 50% of its net profit. It recently announced net dividend of 15.25 sen which translates into 7.6% dividend yield. Ex date will be on 28 June 2010. In view of this, its existing cash pile alone could actually sustain the current dividend payments for the next 5 years!!! Demand for flat steel products are expected to remain buoyant in tandem with the economic recovery. Steel prices are generally expected to head north owing to higher raw material prices, which might be positive for company's margins. But peer competition could limit margin expansion. Over the past two quarters, it managed to achieve net profit of RM39 mil in 3Q 09 and RM37 mil in 4Q 09, owing to higher selling prices coupled with lower raw material prices. Conservatively, assuming that it could sustain above RM25 mil net profit per quarter for the rest of 2010, net profit could easily be above RM100 mil or EPS of 27 sen, translating into PE 2010 of 7.3X. From another perspective, if we take away the net cash per share of 81 sen (Net Cash of RM303 mil / 373.2 million shares) from the stock price, stock price will be at RM1.15 only. Based on this, PER of its business is only at a mere 4.25x. In conclusion, the stock is attractive just based on its dividends alone. 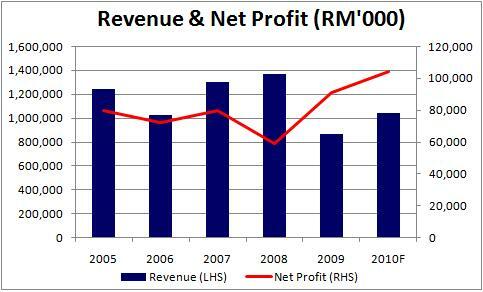 It is further supported by huge net cash position of RM303 mil in addition to its cheap valuations. Note that the trading volume has picked up over the past few weeks, some big buyers could have been accumulating the shares I suppose.